If you or a loved one is living with HIV, Health Coverage, HIV & YOU has tools to help you navigate your coverage options. You can find answers to more than 75 FAQs, coverage options for your state, the required essential health benefits and more! The Affordable Care Act, or ACA, is still here. Now is the time when you can enroll or change health plans. To have coverage in 2018, you must enroll by December 15, 2017. With few exceptions, everyone is required to have health insurance, or pay a fine. 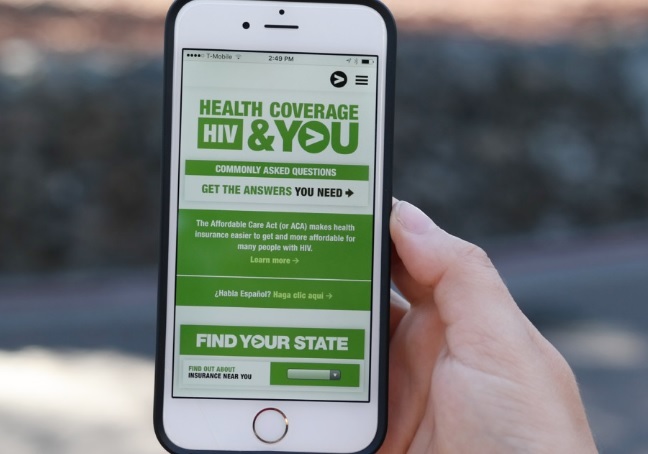 Even if you receive services from the Ryan White HIV/AIDS Program or the AIDS Drug Assistance Program (ADAP), you will most likely still need to have health insurance coverage. You cannot be denied coverage or charged more because of HIV. This is an important change for anyone with a pre-existing condition, who prior to the ACA, may not have been able to get affordable health coverage. If you can’t afford it, help may be available. Depending on your income, you may be eligible for different types of financial assistance to help pay the cost of your monthly premiums, deductibles or other expenses. Free help and personal assistance is available in many places. Find people and organizations in your community trained to help you apply, enroll and answer your questions. But, don’t wait until the last minute! There are fewer certified application counselors and a shorter enrollment window this year. Out2Enroll also offers LGBTQ-specific resources and a locator tool to find free in-person help. To sign up or change health plans, go to HealthCare.gov or your state’s insurance marketplace.